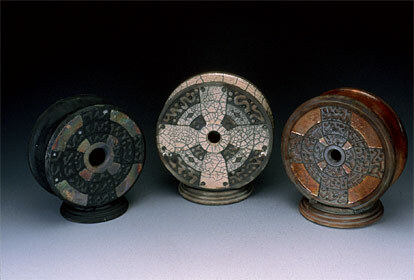 These smaller versions of the Ichirin form are made without the large "handle" across the top, have different designs on both sides, and come in various colors and patterns. As with the larger Ichirin, they tend to reflect an Asian-inspired form with Celtic designs -- not sure why, but it seems to work. They make nice affordable gifts and are easily shipped.